There are some things you just can’t get away from, like gum on your shoe, visiting relatives or ICD-10. Even though your practice adjusted to the vast coding system many months ago, the effects of the expansion will be felt for a very long time. As value-based care expands and quality improvements are increasingly required and measured for reimbursement, your coding is the linchpin between service delivery and reimbursement. How your physicians capture data at the time of patient care has an impact downstream. Correctly and accurately captured, patient care data gives coders the information they need to assign codes for maximum revenue. If they are left guessing or can’t justify the code they select, you may be settling for lower payments. Data also is key to successful claims. When ICD-10 arrived, so did a new swarm of regulations regarding physician involvement in procedures. If data isn’t available to fully document the physician’s involvement in patient care, the claims are going to hit a wall. Data is key to revenue. Data is both hard and soft, in other words, it is both quantitative and qualitative. It involves data obtained from patient observation and interviews as well as medical information like lab tests. When it comes to patient care like surgery or in-office procedures, the data must also include careful details about patient care and interactions. When any of these data points are missing, coding is compromised. We think about this all the time. We fully understand the enormous (and sometimes onerous) amount of time it takes for physician practices and hospitals to document and submit data. In direct response to that we built a platform that handles preauthorization, insurance verification, coding, billing and claims management seamlessly. We believe that you should be able to care for patients every day, rather than spending one full day a week on administrative tasks that are costing you patient time, billable hours and up to 35% of your revenue. One measure of 30-day all-cause hospital readmissions. As of 2017 this is applied to solo practitioners as well as physician groups. 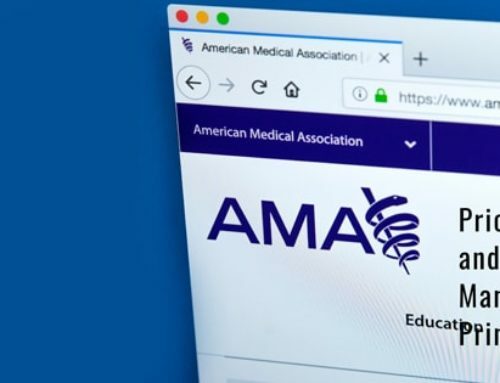 According to the Centers for Medicare and Medicaid Services (CMS), physicians must participate in order to avoid an automatic two percent downward payment adjustment for physician groups with between 2 and 9 eligible professionals (EPs) and four percent automatic downward payment adjustment for groups with 10 or more EPs. The bottom line is that your claims have to be in stellar condition, precisely completed and filed and that depends entirely upon proper coding. Physicians are on the front lines of coding. They are the providers who must accurately document the care and services they deliver. However, they must also be backed up by a streamlined, agile coding platform that can capture every dime earned. They must be supported by staff who are acutely aware of coding requirements and who can catch inaccuracies at the earliest stages, before they become substandard claims. This requires expert, certified coders who are familiar with the innumerable alpha-numeric codes of ICD-10. It requires skilled coders who are experts in processing complex codes in multiple medical specialties. It demands coders who know how to comply with regulations and who can verify each medical code based on the patient’s clinical record. That’s where the money is — in the meticulous and knowledgeable selection of each code. If you want to see how a robust revenue cycle management platform can deliver that level of exactitude for your coding, while saving you time, increasing revenue and enhancing the performance of your practice, visit us at AHIMA, October 8-11 in Los Angeles (booth #1102). Learn how we can rapidly improve your medical coding operations to ensure submission of consistently clean claims for maximum profitability.